The Queens Job Fair, Sparsely Attended And Few Schools With Vacancies Participated. I went to yesterday's job fair in Queens with very low expectations and was not disappointed. A smattering of teachers actually showed up, mostly ATRs over 50 years of age and the few schools that were there were not interested in hiring them, while the schools who did show up were looking for Special Education, Math, and English teachers. The schools were mostly middle schools and the majority were in the worst neighborhoods or had bad reputations. As a High School teacher I did notice very few high schools were represented. 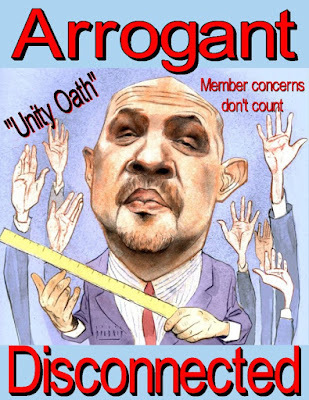 Of course there was the terrible Math and Science Magnet school at Campus Magnet run by the infamous Jose Cruz and, the equally horrible Flushing high school, a renewal school with 5 principals in 6 years. I gave both schools a wide berth. I did drop off a resume to a relatively high achieving middle school for an 8th grade replacement position for the second semester since I must keep my options open in case the DOE tries to place me in the many horrid schools that need a teacher in my shortage area subject. Better to be appreciated in taking a leave replacement than abused by a "gotcha" administration who force places you in their school. The games schools play were very evident at this job fair when I checked the Open Market Transfer System, I noticed few positions I saw at the job fair were listed, while schools with vacancies on the Open Market Transfer System were not represented at the job fair. Incompetence, laziness, or are these schools hiding their vacant positions with the appropriate licensed teachers? Probably all the above applies. It was an experience going to this job fair but an experience that was a bad experience as few schools and teachers participated and it looked hastily arraigned and unorganized. The ATR Field Assassins Are Coming! A new start of the school year and very little has changed. Only a handful of ineffective or vindictive principals have been removed, the punitive Charlotte Danielson rubric is still in force, "junk science" is still used to evaluate teachers, and fair student funding continues. In other words the Bloomberg education policies remain largely undisturbed under Mayor Bill de Blasio. 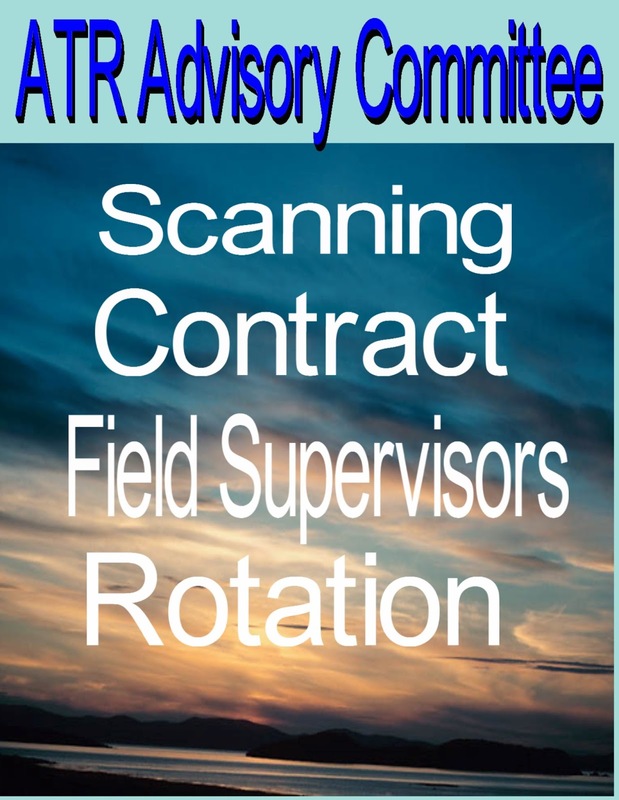 While the terrible 2014 ATR agreement sunsetted, there are still over a thousand ATRs without a classroom (1,162) and the field supervisors are coming to "U" rate them if they can. The field supervisors (assassins) are now introducing themselves to the ATRs in rotation and they will tell you that they are there to assist you in improving your teaching and getting a permanent position. Unfortunately, the field assassins are not telling the ATRs the truth. The field assassins are there to thin the ATR herd. Their job is to “U” rate as many ATRs that they can and force the ATRs to either resign or retire rather than face 3020-a termination charges. 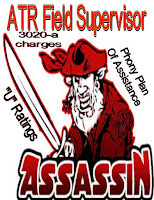 In fact, the section dealing with field assassins responsibilities were changed from supporting the ATR‘s pedagogy to recommending to the Superintendent 3020-a termination charges. 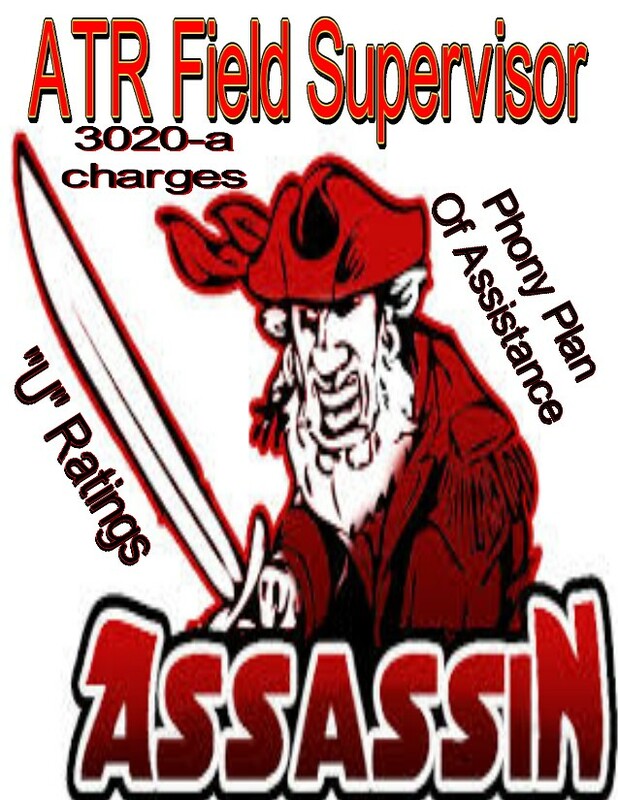 According to one informal source 120 ATRs were charged under section 3020-a in the last year, mainly by field assassins “U” rating them. How accurate the number is I don’t know but certainly even one ATR who was terminated, based on a field supervisor recommendation is one too many. 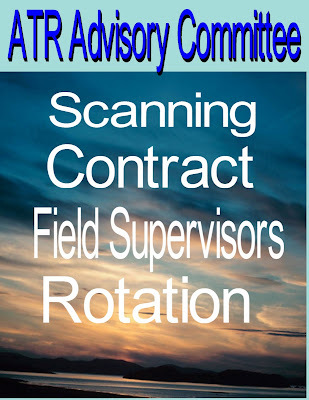 While the union did the right thing and allowed the terrible 2014 ATR agreement to sunset, due to an overzealous DOE prosecution of the ATRs, the union needs to go much further and challenge the DOE’s use of field supervisions at PERB or by filing a lawsuit. How unfair is it to observe a teacher in a classroom of strangers, with no ownership of their grades, and no idea how much rigor to put into a lesson since the ATR has no idea of the students’ academic ability? Yet our disconnected union leadership ignores the issue and allows the DOE to run roughshod over the hapless ATR. My advice to the ATRs in rotation when the field assassin shows up with a smiling face and promises to assist you in getting a permanent position, remember the saying “Beware of the Greeks bearing gifts”. In this case the gift can be termination. Finally, in the last DOE/UFT ATR committee there was no consensus on changing the ATR agreement. Therefore, the 2011 ATR agreement is now in force, except it will be a monthly and not weekly rotation..
Graduating Unprepared For The Adult World And Workplace. Every year the Mayor and his Chancellor, be it Bloomberg (Klein, Black, Walcott) or De Blasio (Carmen Farina) sing the same tune. That their education policies are working and they look to the high school graduation rate as evidence of their claim. True, the graduation rate continues to climb but are the graduates really ready for college or careers? The answer is a resounding no. Far too many students are graduating unprepared for the adult world. For example 78.3% of all New York City high school graduates had to take at least one no credit remedial course while almost a quarter took two or more remedial courses.Remember, this statistic is based on high school graduates actually applying and attending college and does not include the 20% who never bothered to attend college. 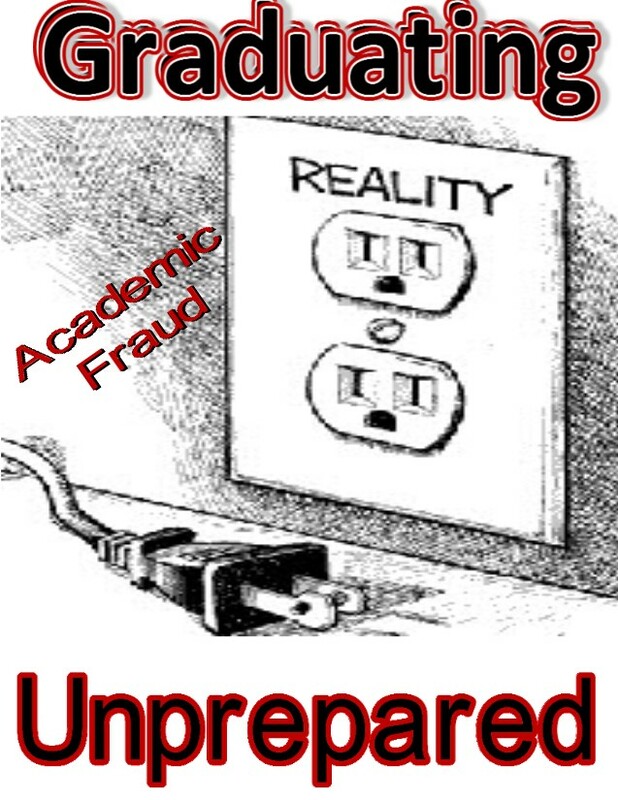 What happens to these students who struggle through high school, aided by bogus "credit recovery" courses, administrative pressure to pass them, and outright academic fraud? The answer is that these students, lacking a real education, are destined to be the new under class of society. Low wage jobs, unstable employment, and financial instability when it comes to the family. Sure there are occasional success stories, but for the majority of these struggling high school graduates the outlook is bleak. We must stop kidding ourselves and realize that some students are not cut out to pass academic subjects and open up more vocational schools that will allow these students to enter the high paying trades like plumbers, nursing, electricians, and mechanics to name a few. This nonsense that everybody can pass the Regents and be academically proficient is a fantasy and has resulted in far too many students being shortchanged educationally and unprepared for the adult world. More Transparency On The Executive Board, Thanks To The Opposition Caucus. One of the more significant changes that has happened since the UFT elections was the election of the MORE/New Action coalition for the high schools. The result is there will be more transparency as Executive Board member Arthur Goldstein, will be blogging on the issues discussed. Moreover, with people like Jonathan Halabi (New Action) and Mike Schirtzer (MORE). We now have advocates who will represent our interests and not the disconnected union leadership. Unfortunately, the opposition caucus, will be regularly outvoted by the "Unity" slugs who will vote on whatever the leadership wants since they all take the "Unity oath". However, at least the membership will be informed in advance the shenanigans the union leadership will use to try to hide controversial issues from them. Maybe now the union leadership will think twice before they impose terrible contracts, change the rules like the ATR agreement, and fail to protect the membership due to vindictive principals. Let's all hope that with more transparency it will result in a more receptive and responsive union. What Are The Demographics Of the ATR Pool? One of the most closely held secrets by both the DOE and UFT is the demographics of the ATR pool. 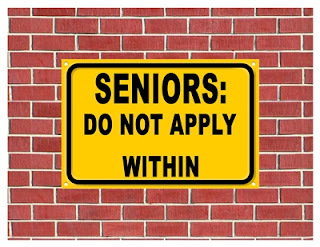 The reason being that both organizations knows that if they released the information, it would show an age discrimination issue and that only younger and untenured teachers were being selected for vacancies. However, thanks to the Solidarity Caucus we at least have a partial data set that shows that the ATR pool is made up of older and veteran teachers. Looking at the data above, the following conclusions can be reached. Salary and seniority overrides all other factors. Racial factors have little to do with who ends up in the ATR pool. * It should be noted that many ATRs are being observed outside their license area and with students they have no ownership of, making classroom management a difficult chore. At this point, I must bring up what Amy Arundell said to the Executive Board when she claimed that there are less ATRs in the system (1,162 according to UFT Solidarity) because more of them are being picked up daily by the schools. There are less ATRs in the system because some retired, resigned, (forced or not) or were terminated by DOE field supervisors and not because they received permanent placements. 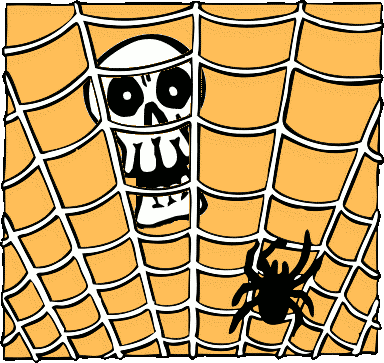 Moreover, provisionally appointed ATRs are not counted as ATRs and there are hundreds of them in the system. They are the ATRs being picked up daily as provisional hires and not permanent hires. In conclusion, the UFT leadership's claim that its an "urban myth" that veteran teachers are being discriminated against has been found to be false as the data above clearly shows the discrimination in the ATR pool. 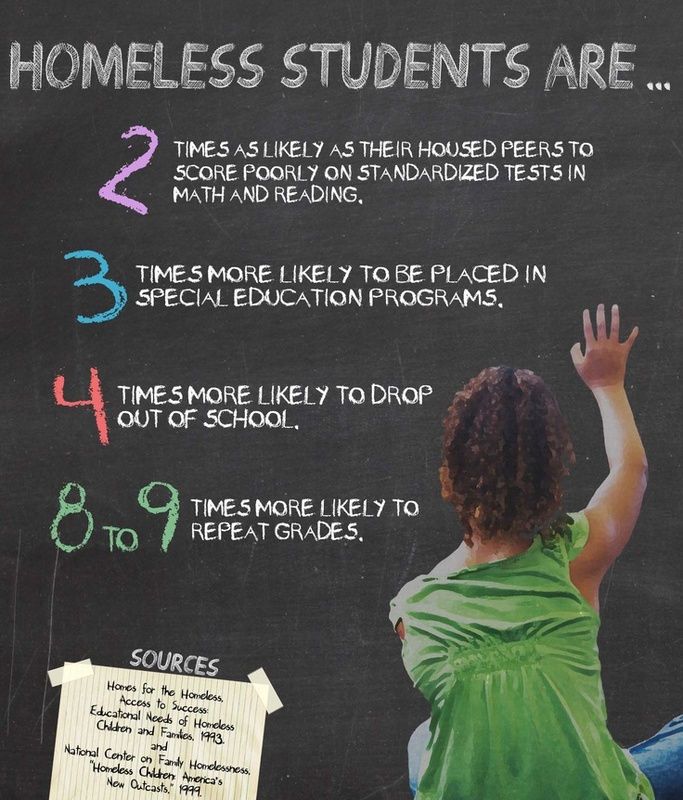 Homeless Students And Academic Achievement. You don't need to be a rocket scientist to know that homeless students suffer academically because of their social-economic situation and are far more likely to be placed in special education programs and struggling schools since their parents are more concerned in finding food and shelter than advocating for a better placement for their child at school. The result is renewal schools end up with a large amount of homeless students which number almost 87,000 in New York City. Moreover, add to the homeless student population the many students who are recent immigrants whose families share an overcrowded apartment with other families and offer little or no privacy or a place to study and you have a recipe for educational disaster. When you talk to education reformers, they ignore the inconvenient truth of poverty and homelessness and instead blame schools for their low academic achievement. These organizations will blame the teachers and demand that teachers be fired for their failure to improve the test scores of deep poverty students by the use of junk science. Unfortunately, even the best teachers have little real effect on a child's academic achievement. A major study showed that any one teacher makes between a 1% to 14% difference in a child's academic achievement. In other words, the education reform organizations and their media allies believe that putting a bandage on an infection will cure the infection. Secure housing (not shelters), food security, and parental involvement is the solution for better academic achievement and failing to address these difficult issues and blaming the schools and their teachers is not going to improve a child's education. What Does The DOE Fear The Most? Institutional Memory. During the Joel Klein era the DOE tried to change the balance of power in the public schools by giving principals more power in running their schools. It was not uncommon to see principals demanding teachers do additional duties and blame teachers when many of the administration's ideas resulted in no student academic improvement. Teacher tenure was extended and veteran teachers were targeted by the DOE's fair student funding policy. 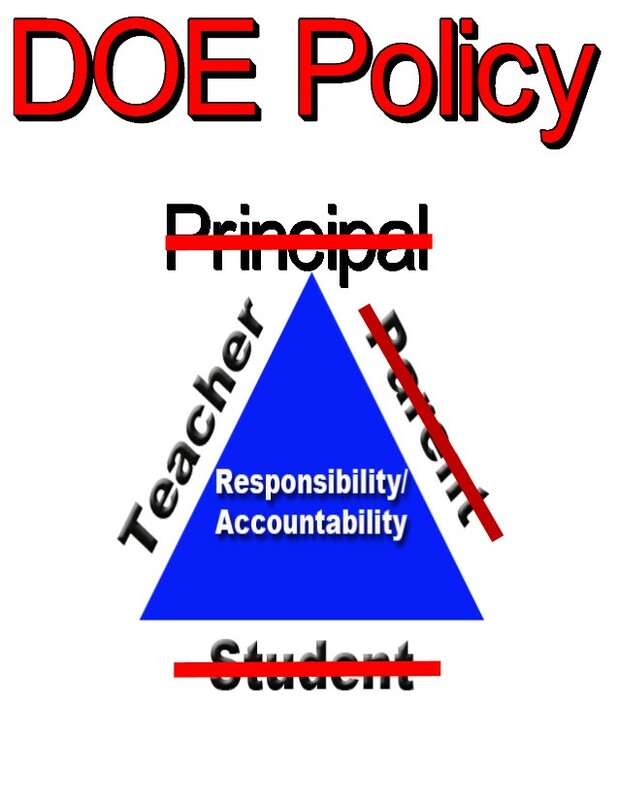 The new buzz word by the DOE was was "accountability", unfortunately, accountability was only assigned to the teachers while DOE policy makers, school administrators, students, and parents were given a free pass from their own responsibility. The roadblock stopping the DOE and their school administrators from riding roughshod over teachers were the veterans who had that institutional memory on how successful and collaborative schools work. To counter this the DOE did everything possible to demonize the veteran teacher and get them to leave the system. Even the new Chancellor, Carmen Farina, was onboard with the DOE policy, she warned new teachers to stay away from the teacher's room and veteran teachers. People like James Eterno, Arther Goldstein, and Jeff Kuafman were radioactive to the DOE since they not only knew the contract, but were advocates for their teachers and would step up to the plate to defend their contractual rights. These are the teachers who had institutional memory and were able to use it to protect and support their staff. Teacher institutional memory is what the DOE fears the most since these veteran teachers not only know the contract but understood how collaborative schools work. This is opposite what the infamous "Leadership Academy" teaches which instructs perspective principals that they are the CEOs of their schools and they are in charge. Collaboration with school staff is an inconvenient annoyance and is discarded when it does not serve the interest of the Principal. In schools lucky enough to have a veteran teacher as a Chapter Leader and advocates for their staff, the Principal quickly realizes that its better to collaborate than confront and the school climate is better for all. Unfortunately, too many Chapter Leaders lack both the institutional memory or the fortitude to confront the Principal. The result is that in far too many schools you have a climate of mistrust and a hostile environment. The bottom line is that schools fortunate enough that has veteran teachers with the institutional memory and is willing to advocate for their staff will make their school a better school. By contrast, when principals are allowed to do as they please and there's no pushback from staff, the school will suffer from high teacher turnover, a hostile school environment, instability, and poor academic achievement for the students. A recipe for what makes a bad school. When An Observation Is Not An Observation. I have been hearing from various teachers that their school administration is trying to require them to follow a detailed lesson plan format, in direct violation of the contract. Moreover, to push teachers to do the administration directed lesson plan, the administration is trying a different approach to compel teachers to follow their rules and fall into their web of destruction. The administrators are telling teachers that one of their observations will be solely based upon their lesson plan and not actually observing the lesson in the classroom. That's right. some school administrators are proposing to do a lesson plan based observation without watching the lesson! I suspect, the school administration is getting their marching orders from the Superintendent who is trying to circumvent the union contract that allows the teacher to determine the format and content of his or her lesson plan. Moreover, by having all teachers follow a boilerplate lesson plan, it makes it easier for the school administration to compare lesson plans and decide which lesson plan is inadequate and punish the teacher for it. Finally, if the teaching staff cowers to the administration dictates, they can more easily manipulate the teachers to ignore other union contract provisions, be it per session activities, prep period duties, and meetings during lunch. rotation have been notified that their field assassin will be meeting with then during the next two weeks. interestingly, some ATRs who were excessed from closing schools have never had a field assassin assigned to them. One teacher has been an ATR for 8 years and has never had one assigned to him. By contrast, any ATR that were subject to discipline (3020-a, letter to their file as an ATR, or attendance issues) will automatically be given a DOE field assassin. Why the inequality? It goes back to somebody once telling me that the ATRs are put on two lists. List one are teachers who were simply excessed from closing schools while the other list are teachers that were disciplined. Guess which list is more likely to get a field assassin? Remember, rotating ATRs are subject to the teaching of the 21st century requirements and not Danielson. So don't allow the field assassins tell you that they are evaluating you under Charlotte Dainelson in the classroom. 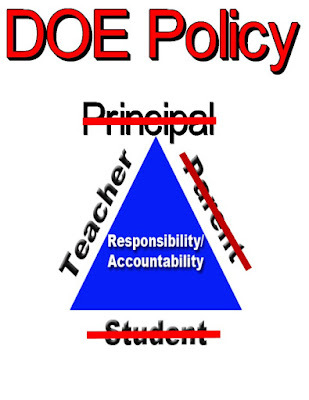 When Will The DOE Remove Bad Principals? Apparently Never! 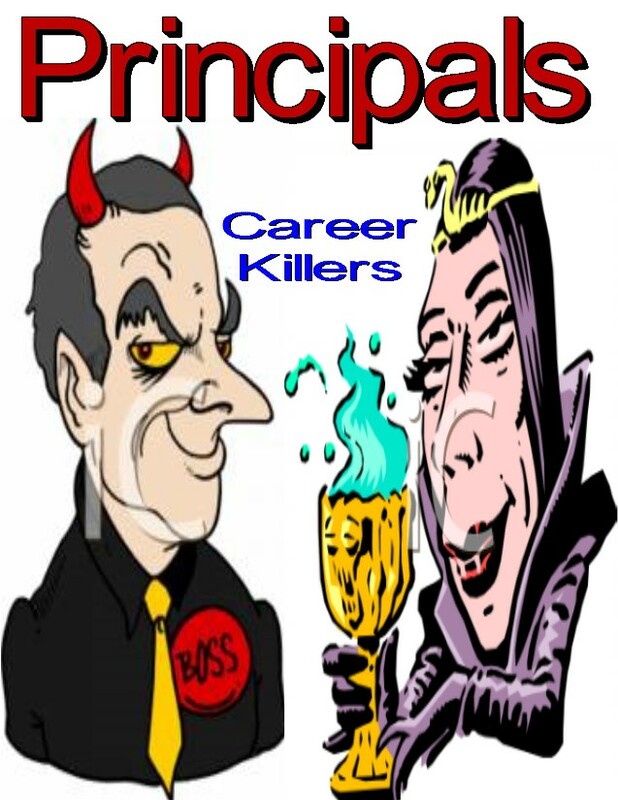 One of the best kept secret on why some schools struggle both academically and safety wise is the poor quality of the school's administration. There are far too many principals who have no business leading their school. In fact Chancellor Carmen Farina stated that she believed that 400 principals are not capable of leading their school. However, she apparently forgot to tell her Superintendents and few, if any principals were removed. Many of the principals that need to be removed are graduates from the infamous "Leadership Academy", which until recently, the graduates didn't even have to be a classroom teacher! Instead of being an instructional leader they became the CEO of their school and saw the Principal position as a stepping stone into higher paying positions in the educational policy field. The result was that the school administration refused to collaborate with the staff and teachers viewed the administration as the enemy rather than instructional leaders. Under both Mayor Bloomberg and Bill de Blasio, the educational priority is how to remove "bad teachers" from the system rather than improve the hostile classroom and school environments. Therefore, it suited their purpose to retain vindictive administrators as they were the tool to get veteran teachers to resign or retire. Sure they also refused to give tenure to new teachers who dared to challenge their unwise decisions concerning students but who cared since there was always a fresh supply of inexpensive "newbie" teachers to abuse or hire an ATR provisionally for the remainder of the year. 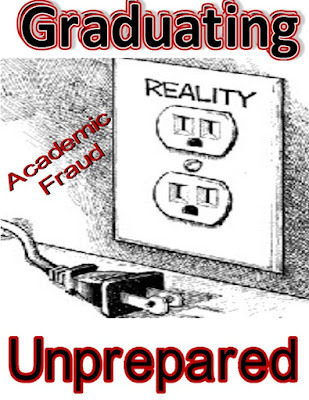 Therefore, its in the DOE's best interest to protect these bad principals since they do the dirty work of removing veteran teachers and their institutional memory on how good schools work while using faulty statistics to claim improved student academic achievement is ongoing. Of course, there has been little or no academic improvement in years. Remember, its not about what's best for the students but for these principals its how to protect themselves by manipulating graduation rates, hide school safety incidents, and blame staff for their shortcomings or unwise decisions for far too many principals in the system. The Teacher Shortage Has Reached The Bronx. The looming teacher shortage has apparently reached the Bronx. I have been told by various people that loads of vacancies have still not been filled as students showed up to their schools only to find out that they have no teacher in front of the classroom. At the high school level, many teachers are being asked to cover a sixth class in shortage area subjects, which now comes out of the school's budget this year, In fact, discontinued teachers are now being hired in the Bronx, even if they were discontinued in another school district in the City. School after school I visit as an ATR in Queens and speaking with different ATRs, they tell me of the many untenured and "newbie" teachers that are the majority of staff members. School after school, with some exceptions, the teaching staff has the same complaints. Senior teachers believe they are picked on by the school administration and many are being harassed out of the DOE. While the inexperienced teachers lack the institutional memory to understand how a collaborative school works and never lasts long enough to be a "quality teacher". The results, especially in the Bloomberg small schools with Leadership Academy principals, teacher turnover is high and these schools churn through teachers at rates that approach what the charter schools experience. Combine that with the reduction of teachers graduating from teacher training programs in college and the damage done to the profession by the so-called education refoirmers and their media allies and its little wonder that the Bronx is nlw suffering from a certified teacher shortage. I believe this is just the beginning of a widespread teacher shortage citywide as the State made teacher certification increasingly difficult and expensive. Moreover, the low morale, pay, and accountability metrics in the State's teacher evaluation system discourage potential teacher recruits who rather go into more lucrative and respected professions. With 10% of the student population now going to charter schools, the overall teacher turnover will only increase as charter schools experience an average complete teacher turnover every three years. It may take another five years but eventually politicians will realize that the laws and education policy that hurt teacher recruitment will be changed but by then it will be too late as many quality teachers will have left the school system and the city will be recruiting out of town and foreign teachers to fill the void. Noit a recipe for student learning for the students in New York City. 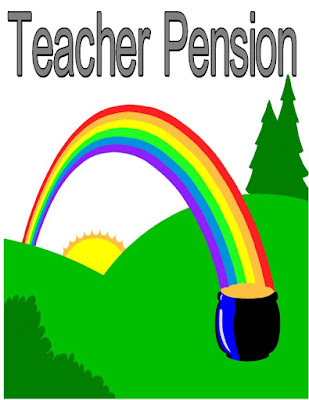 The TRS website allows New York City Public School teachers to get a snapshot of our pension. Unfortunately, the TRS changed their online access and their teacher pension calculation is incorrect and not updated monthly like they used to be. Moreover, their calculated Final Average Salary (FAS) does not include per session, coverage, or 683 money earned in the three year (FAS). These are duties that can enhance your pension. That adjustment is made at your final pension consultation and even then that may be an adjustment by the TRS in retirement. However, you can get an approximate pension number by looking at your last five years of your gross income on your W-2 form. The reason for going back five years rather than three years is to see if any one year exceeded the 110% cap as required by State law. That amount that exceeds the 110% cap is not included in the FAS for pension purposes. Interestingly, people who received their 9.9% twenty year longevity raise in the last couple of years before retiring, along with the mandated yearly raise in May puts the teacher, over the 110% cap from the previous year's salary, even without the extra income. This may not be fair but that's what our union let the State and City get away with. 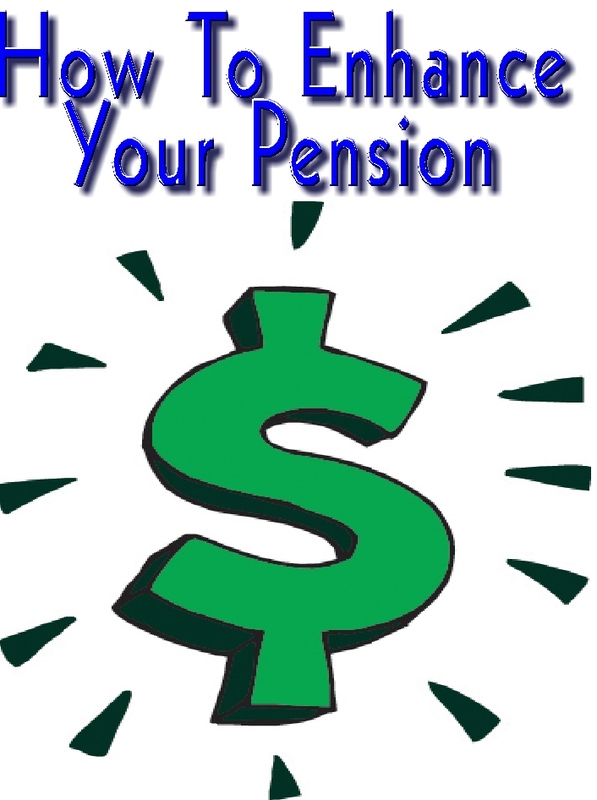 Another way to enhance a pension is called "Ihe Art Of Pension Hopping" an article published in the prestigious Advisor Perspectives Journal that showed that if a second career teacher worked in three different states who allow the teacher to use the time of each state (New Jersey, Pennsylvania, and Connecticut) to enhance that person's pension in the State they worked in. The author is a Math teacher in the New York City schools and is worth reading. Unfortunately, New York State does not allow teaching experience from other States or private institutions to be bought back. However, I believe all three states allow you to buy back New York State teaching experience to enhance their pensions in the State. Finally, the best way to enhance a pension is to work at least 20 years and preferably 30 years and finding a school with a collaborative administration, (no leadership academy principals) well behaved students, supportive colleagues and a strict student discipline policy is the only way a New York City public school teacher can survive long enough for an enhanced pension. Will New York City Tier VI Teachers Get A Pension? The Odds Are Against Them. There is no question that for New York City teachers who can last in the increasingly hostile classroom, there lies a pot of gold by receiving a nice pension when they leave teaching. Add that to the TDA and Social Security and teachers are set when they retire. This is the Holy Grail that long-term teachers strive for. These teachers gave up competitive salaries with other professions, suffer from constant disrespect from politicians, media, and the students, knowing that if they can just survive these indignities, it will be well worth it. This has been true as New York State has slowly reduced teacher pensions starting from Tier I to Tier VI. During the time period when all teachers were covered under Tier 1 to Tier IV, pension plans only 40% of the teachers actually lasted till vesting (5-10years) and 33% made it to full retirement age (55 or 62). That means that the majority of teachers did not work long enough to get even a minimal pension. However, for those teachers who managed to make it long enough to be vested, they had a good chance to make it to full retirement age. Fast forward twenty years from now and the vast majority of teachers will be Tier VI and be subject to the vastly reduced benefits that go with it. For example, they have a 10 year vesting requirement and 15 years to receive retiree health benefits. Moreover, the full retirement age is 63 compared to the 55-62 for the other Tiers (I to IV). Finally, the pension amount is reduced, both by age and by the percentage used to calculate the pension (1.75%) compared to Tier IV (2.0%). See why the City wants to remove veteran Tier IV teachers. While I cannot accurately predict how many Tier VI teachers will be vested and reach full retirement age. I can venture an educated guess by looking at teacher retention statistics in other major urban areas. If you add the increased difficulty in achieving tenure, the use of the Charlotte Danielson rubric, the rise of the Leadership Academy Principal, the punitive teacher evaluation system, and the lack of collaboration, Tier VI teachers who reach full retirement age will probably be in the single digits and not the 33% cited in the report. The bottom line is being a New York City teacher under Tier VI one shouldn't expect to last long enough to be vested and reach their full retirement age. 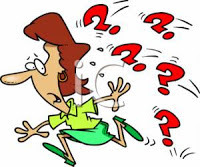 Start thinking of opening an IRA and when you leave the DOE and if your not vested, take the money you contributed to the pension plan should be added to the IRA since their is no teacher pension awaiting you. Today is Labor Day. A day that celebrates workers throughout the nation. It is also a day when unions bring out their members to parade on the main streets of cities to show their pride. 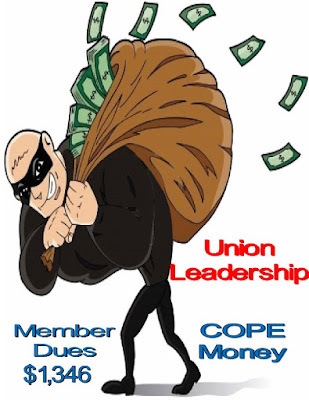 However, when it comes to our union, the United Federation of Teachers, its not about worker rights its more about how much money the union leadership can get from the members, be it dues or COPE. The union forces each member to fork over $1,346 annually and allow little or no input in the union's decision making process. Our disconnected union leadership has allowed for a group of educators to be glorified substitute teachers, moving from school to school like gypsies (ATRs), the only union that allowed this to happen to their members in the City. Furthermore, they support policies like Common Core, high stakes testing, the Charlotte Dainelson rubric, and junk science, despite the majority of teachers opposing these destructive policies. Finally, they negotiated inferior contracts that resulted in massive "givebacks" like the 2005 contract and inferior raises to curry favor with the Mayor and Chancellor (the 2014 contract). The result is that we have a union leadership that is more interested in political power and control than representing their members and on this Labor Day its time for our members understand that our union leadership is not about representing their members but serving their own self-interest. Maybe one day we will get a real leader who will champion member rights and when that happens I will be proud to march alongside my union in support of worker rights. Which Teachers Have A Flag On Their Files? Occasionally, I have written about the unfair flag put on teacher files that makes it virtually impossible to be hired by schools. Who has this flag? Quite a few teachers do and many have no idea that they do since only principals have access to the teacher's file and the flag attached to their file. I call it the "Scarlet Letter"
Any teacher that had a substantiated OSI or SCI investigation finding, even if it did not lead to a 3020-a termination hearing has a flag on their file. Moreover, if the teacher was charged under 3020-a. they also have a flag on their file. Having this flag on your file will discourage most schools from even interviewing the teacher for their vacancies. It matters little if the teacher was ultimately found innocent of the accusations and charges, the flag on the file stays and only a time-consuming and costly Article 78 hearing in front of a State judge can force its removal from the teacher's file. 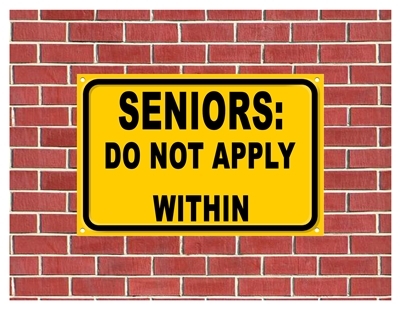 For teachers who were discontinued or irrevocably resigned or retired, they also have a flag on their file that is known as the "do not hire" list. While discontinued teachers can theoretically get a job in another district, no principal would want to go through the hassle and the loads of paperwork to hire a previously discontinued teacher. Further, any teacher who irrevocably resigned or retired are assumed to have been under 3020-a charges and cannot be hired for a DOE position as well. Any teacher that retired and want to come back as a substitute teacher (they really should have their head examined) must have 5 consecutive years of satisfactory or effective ratings in their last five years of active service to do so. One year of unsatisfactory or ineffective ratings in the last 5 years of active service will result in the DOE rejecting their substitute teaching application. Unfortunately, our disconnected union leadership has allowed for this unfair situation to continue unopposed. Instead of filing a PERB complaint or file a lawsuit, they have buried their collective heads in the sand and allowed this abuse to continue for the last 5 years as far too many teachers are denied an opportunity to apply for vacancies or even to continue their livelihood in the profession. What Are The ATR Rules This Year? There seems to be some confusion on what rules ATRs are subject to. To the best of my knowledge, the 2011 ATR agreement is now in force and the 2014 ATR agreement is no longer valid since our union leadership allowed it to sunset on the last day of the school year. I believe I speak for the vast majority of the ATRs who believed the 2014 ATR agreement made us second class citizens and was being abused by dumping rotating ATRs into temporary provisional vacancies simply to try to terminate them in an expedited 3020-a process for the ill-defined "unprofessional misconduct". What does the 2011 ATR agreement say? First, rotating ATRs go back to a weekly rotation after the first placement that lasts to October 17th. Second, the DOE can no longer force ATRs to take provisional assignments outside their district, third, there are no longer expedited 3020-a hearings for "unprofessional behavior". Of course, there were more issues with the 2014 ATR agreement, such as missing two mandatory interviews or not showing up results in the ATR voluntarily resigning Unfortunately, the union will continue to allow the field assassins to continue to try to terminate us. Saying that, it's possible that the union leadership could has secretly negotiated some changes to the 2011 ATR agreement such as longer placements in rotation but since I have heard no rumors of this happening, I must assume the 2011 ATR agreement is now in force. I guess we will know for sure when our union gives us their "dog and pony" show around October 1st.